PARCC Information Session in English & Spanish by the NJ Dept of Education. 3-10-16. 7 Glenwood Avenue, East Orange, Second floor. There is onsite free parking. The first session is in English, from 6 – 7 PM. The second session is in Spanish, from 7:30 – 8:30 PM. Place: Montclair Public Library, Montclair, N.J.
Cherry Oakley has focused on ways to help people embrace diversity and become part of inclusive communities. She has been working for people with disabilities, their families and their support networks for nearly two decades. Cherry has supported people to live in their family home, to become renters, homeowners, and move from state and private institutions into neighborhoods of their choosing in Pennsylvania and New Jersey. As the current Executive Director of Support Coordination at Neighbours, Inc., Cherry leads a team of statewide facilitators that help New Jerseyans with disabilities live a life that is self-determined and self-directed. She holds a master’s degree from Rider University and a BA fromDrew. SPECIAL NOTE: All are welcome-However this information regarding housing options is benefical for ADULTS (21 and over) with Developmental Disabilites, their familes, and for individuals who maybe transitioning to the adult system of care soon (18-21 years old). Regional Family Support Planning Council 4 (Essex County) is a group of volunteer family members of inividuals with Intellectual/Developmental Disabilities who host public forums to obtain input to improve family support services provided by the Department of Human Services (Division of Developmental Disabilities) and Department of Children and Families. For additional information call: (973)-803-7597. Family Support Organization of Essex County is funded by the Department of Children and Families to provide peer support, education and advocacy for families of children and youth with emotional, behavioral, mental health, and Intellectual/Developmental challenges. If you are new to the IEP Process or would like to further your skills with it, G.R.A.S.E., the (Glen Ridge Association for Special Education) has a workshop in association with SPAN all about IEPs; on March 16, 2016, at 7 P.M. at Glen Ridge High School. “Who Here Has Anxiety?” There will be an Open Forum 02-24-16 at BHS. 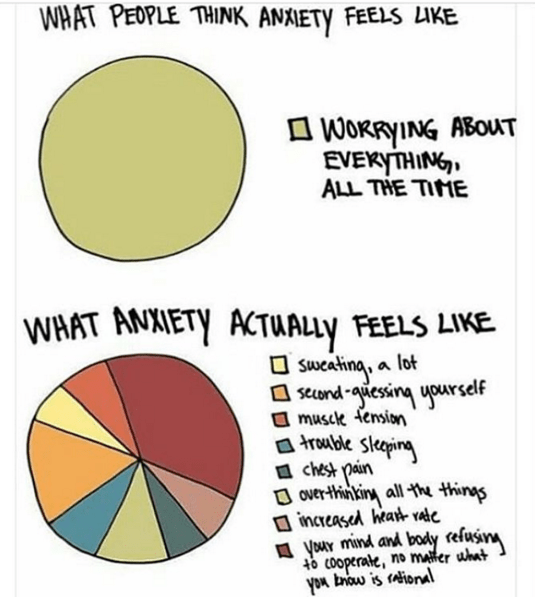 Who here has some anxiety? I sure do at times. Or perhaps your student has anxiety? It is a common thing that most people deal with on one level or another. Dr. Ellen Platt will be taking your questions about anxiety, stress, depression, school phobias etc. at an important and helpful Open Forum on this coming Wednesday, February 24, 2016, from 7 – 9 P.M. at BHS. The Open Forum will be hosted in the BHS Teachers Cafeteria. ANXIETY – AN OPEN FORUM at BHS Feb. 24th 7 – 9 P.M. When: Wednesday Feb. 24, 2016 from 7 – 9 P.M.